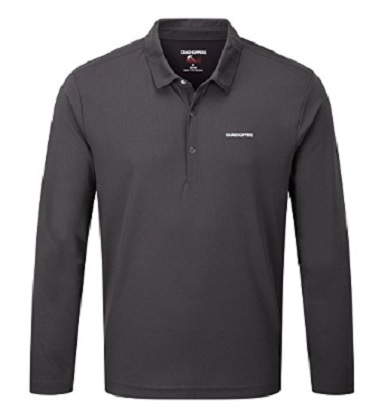 The CRAGHOPPER NosiLife Nemia Polo is made of 100% polyester. With insect repellent treatment woven in the fabric, it can reduce bites by up to 90%. Equipt with Solarshield fabric technology, the Nemia Polo will provide UPF40+ protection from harmful UV rays. The classic long-sleeved polo styling incorporates NosiLife sun and insect-repellent technology for effective protection all day long in the hottest climate. A great choice on and off the trail.